BROOKLYN, N.Y., Oct. 19, 2016 /PRNewswire/ -- Nestlé Purina, a global leader in pet care, hosted its fourth annual Better with Pets Summit at the Brooklyn Expo Center in New York City on Tuesday, October 18, bringing together pet community experts and leaders across the nation to explore how pets and people are living bigger and better lives thanks to new research and innovation that will shape the future of pet care. Featuring three interactive panel discussions, the Better with Pets Summit examined topics that continue to affect pet care and wellness including the evolving role of pets and their impact on people's well-being, nutritional innovation that will allow pets to live healthier lives, and demystifying pet nutrition quality and safety standards. 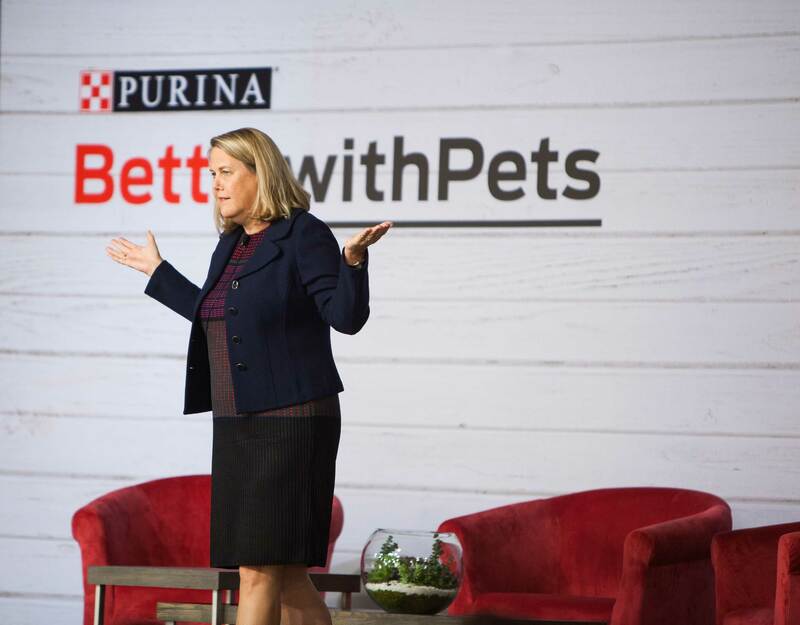 "At Purina, we use our scientific resources and passion to give pets bigger lives and in return, help improve quality of life for pets and people," said Nina Leigh Krueger, president at Purina U.S. for Nestlé Purina PetCare Company. "For four years now the Better with Pets Summit has showcased the latest advancements of the pet care community and raised awareness of topics that are fundamental to the well-being of pets and people. 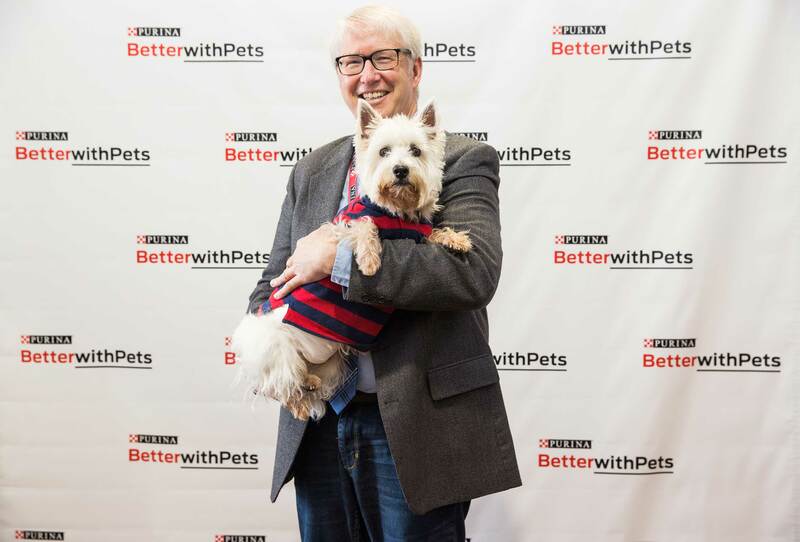 By bringing together the brightest minds and helping encourage these conversations to take place, we are working to create a better future for our pets." At the summit, Purina also revealed that after a nine-year longevity study, the company's research team has developed a proprietary nutritional blend proven to improve and extend the lives of cats ages seven and older. Purina's latest product innovation can be found in Purina Pro Plan Prime Plus™ and will be available starting in early 2017. Purina also announced it is teaming up with Mayo Clinic on a study the clinic is leading to measure the benefits of animal assisted therapy as a way to reduce pain and depression while improving quality of life in patients with fibromyalgia. "I learn something new that will benefit pets every year at the Better with Pets Summit," said Marty Becker, DVM and who is known as "America's Veterinarian." 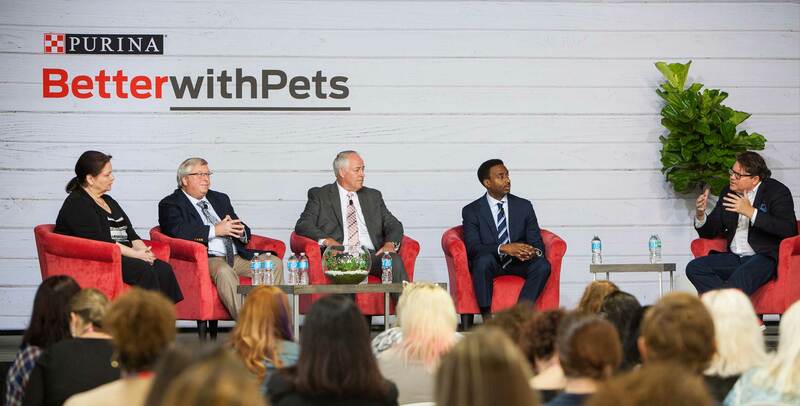 "I greatly appreciate Purina bringing these industry experts together, and providing a platform for engaging and relevant discussions that will make a difference in the lives of our pets." In addition to the panel discussions and in partnership with North Shore Animal League America, summit attendees also had the opportunity to play with adoptable dogs and cats and learn about pet therapy curriculums from NSALA, including its Mutt-i-Grees program. 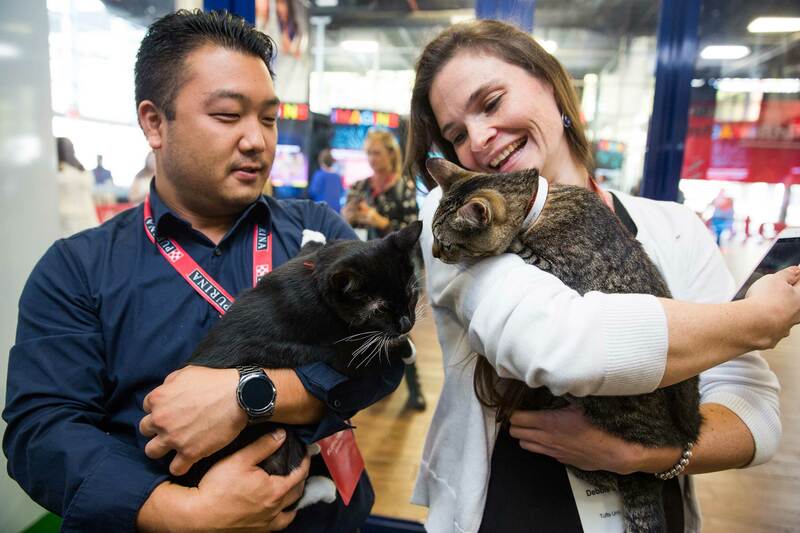 Purina also honored key leaders and innovators in the pet industry who have made a difference in the lives of pets and their owners, including Kevin Li. Li, co-founder of PlayDate, a remote-controlled ball that enables users to play with their dogs or cats from any location, was presented with the Emerging Growth Award for his work in helping pets and their owners stay connected in an interactive, meaningful way. 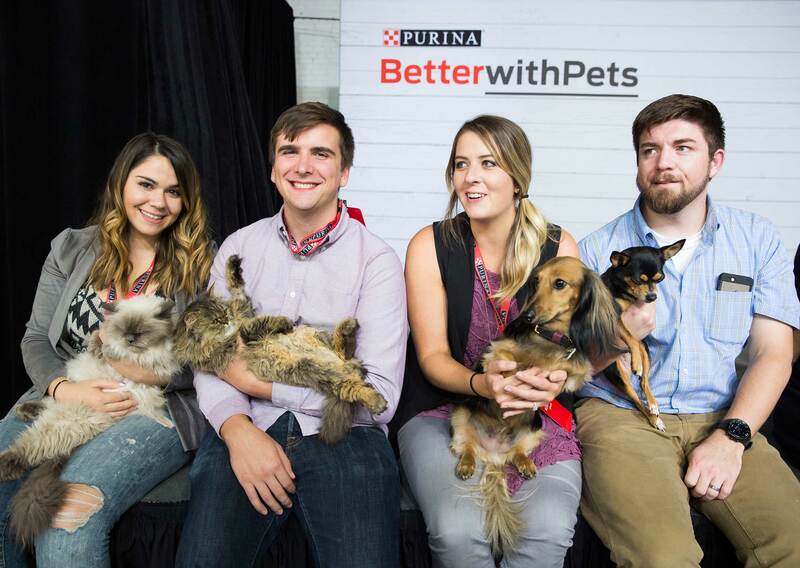 In addition, Purina announced the new Pet Care Innovation Prize, which was developed to advance the ambitions of passionate pet care entrepreneurs to improve the lives of pets and pet owners and help grow the pet care industry. Entrepreneurs have submitted entries, and winners will be announced in late 2016. For more information about the Better with Pets Summit, visit www.purina.com/better-with-pets/summit.